Hello chess blog friends, FIDE has announced an interesting chess event. Grandmasters Boris Gelfand (2725) and Peter Svidler (2793) will play a Rapid Chess match of 8 games on July 20-24 2014 in Jerusalem, Israel. The match, open to the general public, is the highlight of the 2nd Gideon Japhet Memorial Open Chess Tournament, to take place in Jerusalem on July 16-24. The tournament is organized by the Jeruchess Club of Jerusalem and the Japhet family represented by Gilad Japhet, CEO of MyHeritage.com. The tournament has been named Chess Event of the Year in Israel by GM Ram Soffer on the homepage of the Israel Chess Federation. The Gideon Japhet Memorial Open Chess Tournament includes 4 categories covering the full spectrum from grandmasters to unranked amateurs and is expected to draw more than 200 chess players this year from Israel and overseas. Total prize fund is $16,000. Registration is still open and details are available in English, Hebrew and Russian on the tournament’s website. 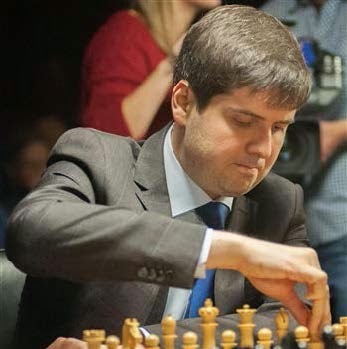 The tournament is part of a chess festival that includes a simultaneous exhibition by GM Alexander Huzman (Israel Vice Champion 2014), a FIDE Chess Arbiters Seminar, and Israel’s Chess Problem Solving Championship 2014. The games will be broadcast live (including video stream) and can be watched in real time by chess enthusiasts worldwide on this page. Following each pair of games, grandmasters Gelfand and Svidler will be interviewed and will commentate their games; the interview videos will be available through the link above as well. The tournament is held in memory of Gideon Japhet, a lover of chess and sports.